Equestria Gaming: Let's Talk About Equestria Gaming! The prerequisite dumb and unsurprisingly-unskipped one-liner intro aside: with Season 9 of our favorite colorful horse cartoon now currently underway, and Equestria Gaming itself having very celebrated its own eighth year, we figured behind the scenes that there really won't be any better of a time (like, y'know, probably ever again) than now if we wanted to get ourselves back in order and right back into the pixel pony news game for the final season. To that end, we've put together a little something we (or at least I) like to call the State of the Horse Website Anno Domini Two Thousand and Nineteen™ (or SOTHWADTTAN™ for short, if you like!) in order to discuss a few small site-related things; namely what's changed as of late, what we'd intend to or perhaps just like to change (if anything) and, most importantly, making your voice heard on what we do! If that sounds like it's up your alley, then please check it out below the break, if you'd be so kind! One of the singularly largest issue Equestria Gaming tends to deal with (the abandonment issues notwithstanding, of course!) when we're attempting to post on a regular basis is trying to feature content outside of the usual requisite news posts. While both the original and current incarnations of this website have tried a fair few different things over the years to keep a more consistent and varied content flow going, trying things like Lyra's List, Pon-E3 back in 2012, assorted contests, reviews and even things like music posts, editorials and Let's Plays, nothing's ever really quite "stuck" and we've admittedly never really been able to get a particularly solid grasp on what tends to play well and what hasn't, outside of things like Lyra's List that rely on direct audience participation which gives us some slightly more direct feedback. As you can probably expect, this is where the "You" part of the equation comes in! 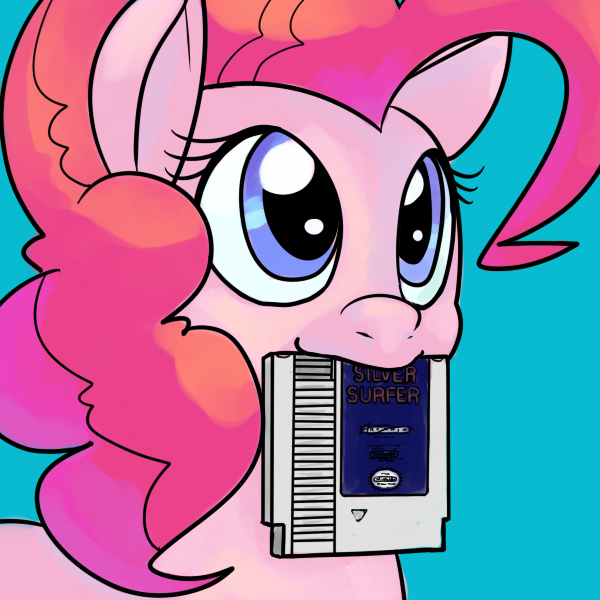 As a reader of this website, what would you personally like to see on Equestria Gaming? What do you suggest that we should do? We're all ears, and more than happy to hear any and all suggestions, ideas and feedback y'all send our way! First things first! While we unfortunately passed by the actual date of it with embarrassingly limited (...okay, no) fanfare because of Very Good Reasons I Assure You™, Equestria Gaming celebrated its eighth anniversary on the 4th. While what I said about about our perspective on things in 2017 still stands, and our current staff still aren't quite capable of (what I'd personally describe as) properly waxing nostalgic about the site's earliest days and its growth from an insider's point of view, it's at the least still very plain to see just how far Equestria Gaming has managed to come over the years in some form or another! ...Well, I mean okay, sure, maybe not totally plain considering we've been rocking roughly same look since, like, 2012. But hey, we're still around to rock it, and in 2019 I'd say that's no small feat! As of the writing of this post, we've done some minor maintenance work over the last month or so. We're back to having a fully functional set of games in the arcade after what was very likely to be a considerable amount of time with a small amount of broken or otherwise nonfunctional games, which was covered in slightly more detail in this post. Slightly more recently, we've reopened the classic Submit page after using only a barebones sendto link for almost three years, as having a dedicated submissions page is, at least in my opinion, a touch nicer on the whole than just popping open your email client straight away. Plus, it's just kinda been... well, sitting there all this time, so why not put it back into rotation? There may possibly be a few more tweaks and changes coming at some point down the line if we feel the need or said need arises, but at the moment that's likely to be the extent of the more physical changes. If you have any suggestions for additional changes, though, feel free to drop us a line and let us know what you think! So, with all that said, that's pretty much the long and short of the current state of things around here. Thanks for sticking with us throughout the years, and for (hopefully, anyway) sitting through yet another of my ridiculous walls of text, haha!